Did your school ever offer Candy Grams as a fundraiser? I remember those from many, many moons ago. Pay your $1.00, write a message, and your card and candy would show up on the desk of your friend (or secret crush!) at a designated day and time. INSTACANDI is the grown up version of candy grams! There are an assortment of package options to choose from with various themes such as Easter Eats, Sweet Treats, Birthday Bits, etc. Pick the candy assortment you want, then choose your message which will be handwritten on an enclosed card, choose your recipient, and send off a candy gram to someone you love! The INSTACANDI ranges from old-time favorites like Mary Janes and Tootsie Rolls to Snickers, Milky Ways or Jolly Ranchers. We stock 100's of different INSTACANDIS! Pick out a package, write personalized message and ship! 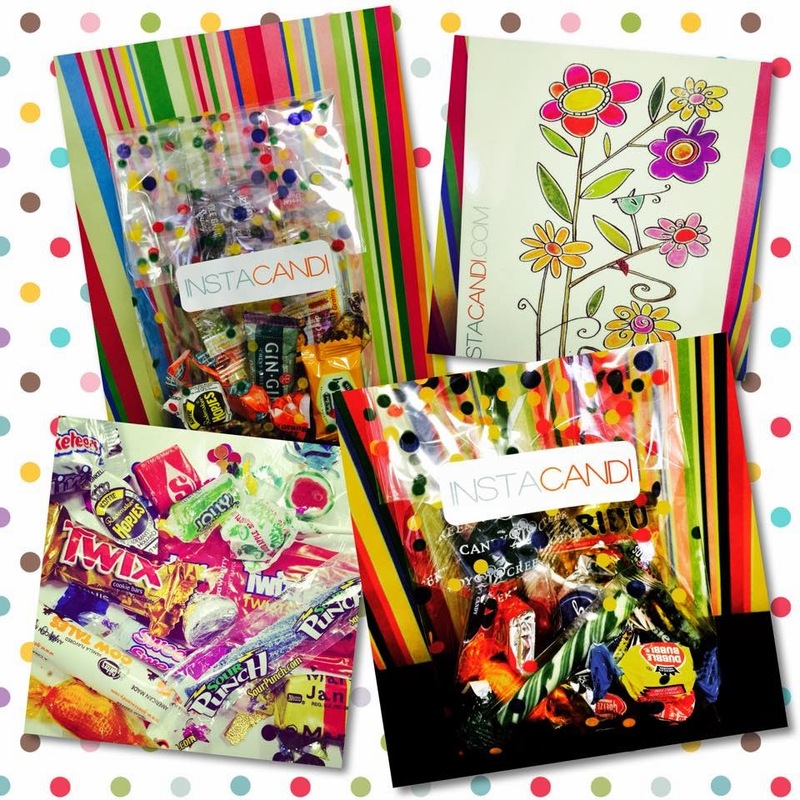 Personalized card, 15 pieces of candy, beautifully packaged and shipped for $9.99! *Full Disclosure: I received complimentary product from INSTACANDI for the purpose of review. I received no compensation for this post. All comments are 100% accurate and 100% my own. yes in college they have candy-gram tables often so you can send them to friends/bfs/gfs/secret admirers! Absolutly and we just did it at work on Valentines Day. We used to make letters made out of candy bars, using them for words. They didn't have them when I was in school, but my kids have. It was fun b/c parents and students could send them. I did not get candygrams at school but always wanted one. I never gave or received candy grams in school, but it's a great idea. Yes, they were always fun! Yes, I did get candy grams in school! Fun time! I don't recall them at my high school - but I know my kids had the chance to send something with candy - I believe it was lollipops. I don't think we did those, except maybe in middle school? I seem to remember something like a candygram for Valentine's Day. No~we never did this. How Fun!! I remember doing that when I was in school. It was always a thrilling surprise! I did. They were always so much fun. No, I didn't but it would have been a lot of fun! No. I was partially homeschooled or the schools I went to, didn't have anything like this. They were too small. I never gave or received a candy gram in school, the only candy I remember receiving was for St Valentine's day. No, I never sent or received a candy gram before. Got Valentine candy delivered to my desk in grade school.in the '60's! Nope, no candy grams for me. No, I never received any. No, I don't even remembering knowing about it as a kid! No.. We did not have a thing like this .